Evolution Studios Joins Codemasters to Form "UK Racing Powerhouse"
Well, that was quick. 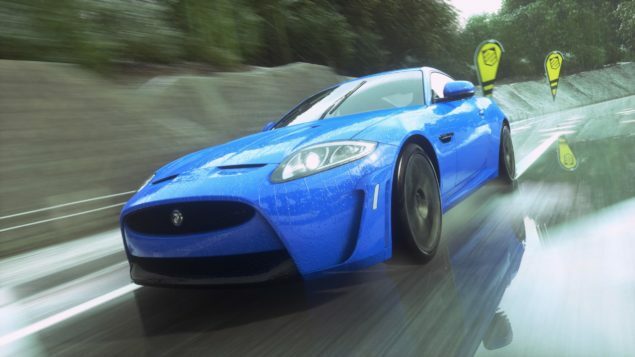 At the end of last month, Sony Computer Entertainment announced the closure of UK development team Evolution Studios, the team behind Motorstorm and most recently Driveclub. Today, Codemasters announced that Evolution Studios will be joining them as a separate team in an effort to form a “UK racing powerhouse”. That includes Mick Hocking, Co-Founder of Evolution who will act as VP of Product Development at Codemasters, a role which will apparently have him responsible for all the company’s studios. The success of F1™ 2015 and DiRT Rally over the last 12 months has re-positioned the company for growth. The addition of the Evolution team to our studio group will allow us to scale our business and strengthen our leadership as the world’s premier racing game developer. I’m thrilled to have Mick Hocking join Codemasters as VP of Product Development. His experience in building AAA IP and leading great teams made him a natural choice to head the development of all of our products. I am equally thrilled to welcome his talented team to the Codemasters family and I look forward to the great games and brand new IP we will develop together. I’m delighted to be joining Codemasters at such an exciting time in the company’s growth. We have a shared passion for racing, a desire to innovate and a determination to create the best racing games and build the biggest racing community in the market. I’m very much looking forward to working with so many of the world’s greatest racing developers, on new IP as well as exciting franchises including DiRT, GRID, Micro Machines™ and the FORMULA ONE™ games. Looks like a happy ending for everyone. Stay tuned and we’ll bring you updates on whatever the first Evolution Studios racing game under Codemasters turns out to be.